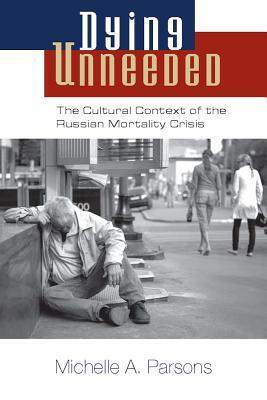 Though I have read several books over the past year on Russia that have been tremendously informative, ethnographer Michelle Parsons’ Dying Unneeded has achieved something special. Special in that it provides the reader with an empathetic window into Russian triumphs and struggles post-WWII, especially during the “shock therapy” period of the 1990s. The book is deeply sad at times, but the reader does not walk away simply feeling sorry for Russians, something this proud people likely wouldn’t want. In addition to the sadness, one also comes away with a glimpse of what gives the Russian people their character and resilience as well as their mystique. Geography and history in the form of a harsh climate and constant invasions from all directions have created a people with great stamina and endurance. It’s no surprise then that Russia has been a source of great literature. In terms of historical experience and culture, it has all the necessary ingredients for great storytelling: tragedy, struggle, paradox and a sense of the absurd (i.e. humor). And most Russians, as cited in the interviews and surveys used for Parsons’ book, seem to be keenly aware of this. The sense of the absurd involves getting things done within Russia’s still cumbersome bureaucracy and the use of connections, which outsiders often perceive as “corruption” but in actuality has a more complex cultural history. A harsh bureaucracy to maintain order along with tribute paying and exploitation of connections goes back to the state system imposed by the Mongols in the 13th century. The theme of paradox – which seems to underscore most people’s observations of Russia and its people, regardless of the time period – was reflected most in this book by the author’s elaboration of the historical and cultural relationship between space and order and its implications for social connection. Furthermore, the push back required to circumvent both the material and non-material limits of the state in order to get various needs met – utilizing those essential social connections – produced a sense of freedom. It should be noted that this phenomena of pushing back against the system in small and various ways did not work under the brutality of the Stalin regime and it refers to Soviet life generally after Stalin’s death when the system relaxed in some ways. Parsons goes on later to explain how the breakdown of this space-order-freedom framework in the 1990s led to social alienation as people seemed to drift off onto their own. This alienation was exacerbated by the requirements of neoliberal capitalism. Some Westerners eschew the idea that Russians have a distinct outlook that is more interested in a sense of meaning and other non-material pursuits – a soulfulness – as alluded to in an earlier quote about social connections and being needed. Contrary to these naysayers, there does seem to be some merit to this cultural difference, but as with any group of humans it is hardly simple. As evidenced by surveys Parsons cites, there is a deep cultural interest in a meaningful life and what that means in terms of their social relationships and the consequences of having those relationships torn asunder via the various upheavals of the 20th century, particularly the dissolution of Soviet society in the 1990s. That dissolution produced a trauma that translated into millions of premature deaths, especially among Russian men who died from accelerated alcoholism, heart attacks, suicides and homicides. Women were also affected by the mortality crisis but on a smaller scale as well as in a qualitatively different way. This is reminiscent of Viktor Frankl’s observation in his book Man’s Search for Meaning that his experience in Nazi concentration camps showed him that those who were able to survive in the horrendous physical and psychological conditions were not necessarily the most physically hardy or stubborn, but those who were able to provide something to their fellow prisoners – comfort, an extra piece of bread or just a dark sense of humor – and who were able to find some larger meaning in suffering, both their own and those around them. It can be argued that without struggle, there is no opportunity for meaning. This is not to celebrate or be tolerant of systems of gratuitous suffering, but to recognize that the complementary relationship between a sense of meaning and happiness requires both some degree of struggle as well as interdependence among people. Among people they know and trust, Russians reportedly tend to be warm and effusive. They also know how to enjoy the finer things when they have access to them as was demonstrated during the Czarist period when lavish dress and architecture abounded. Even peasant attire and everyday items had elaborate and decorative designs as pre-Soviet Russian artisans and craftspeople were numerous and renowned. Indeed, Moscow is wealthier, more bustling and diverse and also suffers from more inequality than any other part of Russia. As epidemiologists Richard Wilkinson and Kate Pickett show in their pioneering work on inequality, The Spirit Level, the more social inequality (as reflected in income) there is within a society, the more social problems will flourish, including increased crime, health problems, mental illness, substance abuse and distrust. Post-Soviet Russia has been no exception. It is interesting to note throughout the book that none of the interviewees mention political democracy as a factor either way in discussing the good or bad of Soviet life versus post-Soviet life. It is social security in the form of access to essential goods and the quality of social relationships (or lack thereof) that are most often mentioned. This is not to say that political democracy has no appeal at all or that democracies can’t incorporate various mechanisms to decrease the inequalities inherent in capitalist market systems, such as the Scandinavian social democracies, but perhaps our assumptions about the prioritization of political democracy over social equality are confused. Given the fact that humans are the most social creatures on the planet, it is logical that they are extremely sensitive to perceived social inequities. Massie, Suzanne. Land of the Firebird: The Beauty of Old Russia. Hearttree Press.